Innovation in Scotch whisky is now everywhere, with numerous brands taking creative steps to stand out from the crowd. The Whisky Works from Whyte & Mackay (W&M) is one such approach; we spoke with its creator Gregg Glass to learn what it’s all about. It’s not every day we hear about a new blending and bottling house focused on producing intriguing small-batch Scotch whisky, so when we do, we sit up and take notice here at MoM Towers. It’s safe to say our curiosity has been piqued by The Whisky Works, the newly-launched independent arm of Whyte & Mackay which operates under the watchful eye of W&M blender and whisky maker Gregg Glass. We were fortunate enough to speak to the man himself about how The Whisky Works works, how it came to life and what to expect from the two delicious launch expressions: the King of Trees and the Glaswegian. Master of Malt: What is The Whisky Works? Gregg Glass: The Whisky Works has been on my mind for a number of years. It was probably about five years ago I started to think about what sort of company would I like to build and what would be the best method to make that happen. Then, literally, the first week that I joined Whyte & Mackay, it was a discussion that we had. That’s why you’ll see in our logo ‘established in 2017’ because it was very early on in 2017 I actually started to action a lot of these cask laydowns and cask selections. What we created is an innovation hub where there’s complete creative freedom but it’s within the structure of Whyte & Mackay. What’s really great about that, certainly from my point of view as a whisky maker, is that I can utilise the real skill base that is here both in human resource but also the depth and breadth of our whisky stocks as well in creating exciting new whiskies. Part of where the name ‘The Whisky Works’ came from was my love of motorsports. A works team for a rally are the people on the ground. They have that freedom to explore different avenues and innovate in different ways that can then also feed back into the parent company, the manufacturer. The Whisky Works is an opportunity to also engage with everyone who works at the company and for them to feel part of the process too. It was a way of spending time with the guys on the ground and band about ideas. MoM: What are you trying to achieve with The Whisky Works? GG: I want to create unique and different characteristics both from a flavour profile point of view and perhaps methodology in making whisky through new innovative practices. We’re really a flavour-led company. Through The Whisky Works, we can look at doing things on a small scale with responsible risk-taking within this structure, almost like a test hub. When Richard Paterson (W&M master blender) and I work alongside each other on a variety of projects, we experiment with concepts that might be interesting to use or try out. Through The Whisky Works, we can test these ideas here, maybe at a smaller scale. Some of these concepts will then go out to maybe some of the other brands, once we’ve successfully tested or trialled them within the Whisky Works. MoM: You’ve said the inspiration for The Whisky Works was your collaborations with wine and spirit producers, coopers and sawmills. How did those experiences inspire you? GG: Through my career path, this year is going to be my 20th year in the industry, I’ve been very fortunate to work one-on-one with different people not only within the Scotch whisky industry but also with winemakers. When Richard Paterson and I travel the world we make a point to go out and see cask suppliers or other producers. It gives me a lot of creative inspiration. I’m a bit of a sponge for information, and these opportunities provoke me to go off and think about innovative things and do my own testing based on that. MoM: The first Modern Whisky Experiment expression is the King of Trees (a 10 year old Highland blended malt whisky). Can you talk us through how you created it? GG: The concept behind the King of Trees began with the thought of using native Scottish oak. Although other people have used Scottish oak before, for me this is actually part of a bigger process and this is not a one-off idea or use. I’m actually building a bigger programme around that, about which we’ll be disclosing a little bit more in the coming months. But essentially what happened was that I found myself spending a lot of my own time researching and sourcing Scottish oak, going to sawmills close to where I grew up in the Highlands and trying to investigate how to utilise them. This was the inspiration behind the cask we used to finish the King of Trees. It was built from two windfall trees from the same estate in the Highlands that were between 160 and around 220 years old. We used windfall trees as we didn’t want to be cutting down trees unless they were necessarily having to be done so for forest management. Now in terms of the flavour profile, what I really wanted to try and achieve with King of Trees was a lovely freshness in the recipe that allowed the core orchard fruit characters in the apple/pear notes to really come through. So I wanted to use the Highland oak to really accentuate that, but not to overpower the recipe. That’s why, in terms of the proportion, the Scottish oak is a roundabout 14% of the overall recipe. It expands the aftertaste and the longevity of the whisky, so what you find is that lovely soft spice will build up and come through in the finish really nicely. It’s very much a fresh, almost summery style of whisky, which is exactly the style I wanted to create. MoM: The other launch expression is the first Classic Whisky bottling, the Glaswegian (a 29 year old single grain whisky). What can we expect from it? The 29-year-old Glaswegian, for me, is beautiful, it’s fresh and, while it’s an older expression and it’s got depth, it’s also got the elegance and balance within there. I wanted to bring out the butterscotch type of characters and custard notes, crème brûlée and retain some of the exotic fruit characteristics that are within there. That’s something you’ll see with all of the projects that I work on. What I’m trying to do is build in depth and complexity but also at the same time harmony and balance to the recipes as well. All of our expressions are non-chill filtered, natural colouring and, if it’s not natural cask strength, then they are bottled at an alcohol level that was chosen very much specifically for the flavour delivery and the flavour experience that comes through there. I’ve been a great lover of grain whisky for many years. Look at my experience working at Compass Box and some of the grain whiskies that I had exposure to there! What I found when it came to grain whiskies throughout my career was that I was drawn to casks from particular parts of our dunnage warehouse that were imparting a lovely freshness to whisky. So the majority of the casks for the Glaswegian came from dunnage warehousing. When it comes to the Glaswegian, we can’t talk too much about the spirit itself as it came from a closed distillery that was in Glasgow and we’re not disclosing the distillery name. But, what we can talk about is the cask maturation side of things, and hopefully, that provides a different message and insight into whisky creation that may act to help to educate people who are maybe newer into whisky or wanting to try and explore new flavours. Both the King of Trees and the Glaswegian will soon be available from 15th April at Master of Malt, so set a reminder in your calendar. He secured the title of master blender at Whyte & Mackay at the age of 26, and earned the nickname, ‘The Nose’, for his exemplary olfactory skills. He’s a key figure in wine cask finishing innovation and is one of the Scotch whisky’s greatest evangelists. It can only be Richard Paterson, one of the industry’s best known luminaries. Will Grain Whisky be promoted to the Big League as David Beckham signs for Haig Club? 1 Comment on Will Grain Whisky be promoted to the Big League as David Beckham signs for Haig Club? Ah, David Beckham. What a fine figure of a man. And now one who’s set to join the whisky industry as the face of Haig Club single grain whisky (from Cameronbridge distillery) as well as becoming actively involved in the marketing of the brand along with his manager Simon ‘Spice Girls’ Fuller. A couple of stories here then – massive celebrity endorsement of a Scotch whisky, and the planned launch of another single grain following William Grant & Sons’ Girvan Patent Still. You may have seen the Girvan range launch at the end of last year – it’s the first single grain from William Grant, or the first official bottling from Girvan, or the first bottling “under the emblem” of the Girvan still… or something. Thursday was Jura Day. It started far too early for any of our liking, and lack of sleep is beginning to play heavily on people’s sanity; that and the midges…. Thursday was Jura Day. It started far too early for any of our liking, and lack of sleep is beginning to play heavily on people’s sanity; that and the midges. We left in a hurry to catch the ferry at 8.30am, at the other side of the Island. You know, over there. It is not a long journey. In fact we reached Jura in about 4 and-a-half minutes, the malt mobile rolling off the boat and onto the rugged shore.Force of habit made us reach for the sat nav, to aid us in our navigation of the Island’s one, single track road. We were going the right way. Dalmore Cigar Malt – Back for good. 1 Comment on Dalmore Cigar Malt – Back for good. I’m talking of course, about The Dalmore Cigar Malt. Last year there was an astonishing discovery in Antarctica, just outside of what was once Ernest Shackleton’s hut. The discovery was several cases of Mackinlay’s Rare Old Highland Malt whisky, which had been left behind after a failed attempt to reach the South Pole between 1907 and 1909. Whyte and Mackay, who own the Mackinlay’s brand, leapt at the incredible opportunity to try and recreate a whisky from a bygone era, under the lead of their inimitable Master Blender, Richard Paterson. Everyone knows the mighty moustache is the greatest bastion of masculinity; it’s a symbol of true manhood. Once a year, the chaps in the Master of Malt offices are granted the tremendous opportunity of being able to relentlessly rip on the one or two gentlemen incapable of growing anything more than a bumfluffy disgrace, all thanks to Movember. Movember (the name is a portmanteau of “Moustache” and “November”) was founded in 2004 as a charity which raises awareness and money for various men’s health issues. 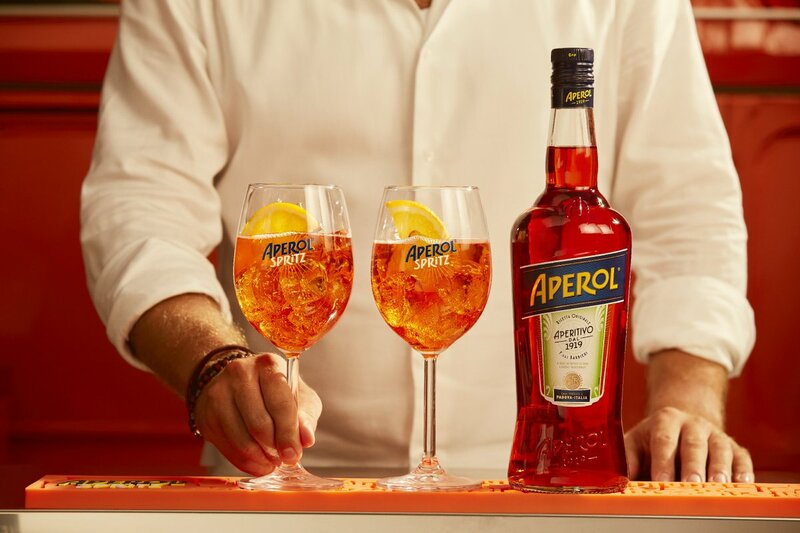 It’s also a perfect trump card for our anti-tache other halves because, at the beginning of November every year, men must shave, then grow a moustache for the duration of the month, in order to spread the word of a very good cause.
. @AperolSpritzUK is 100 this year. Happy birthday orangey bitter drink! 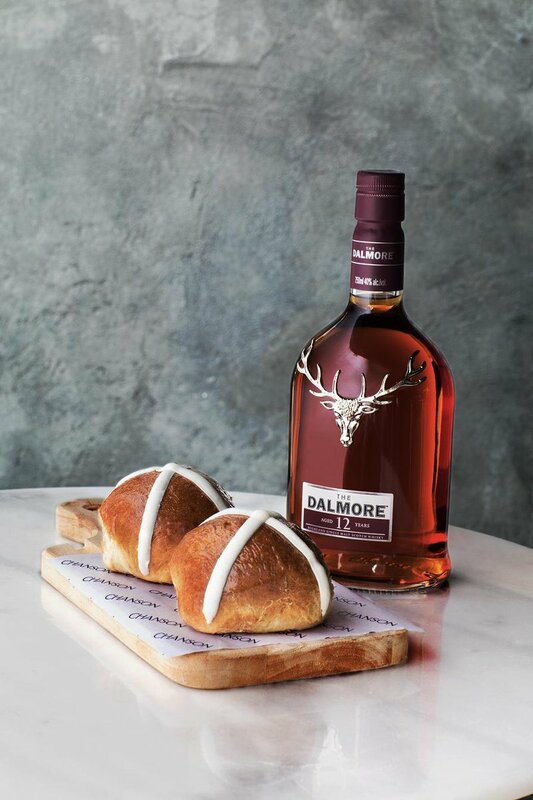 Sweet treats that are right up our street – Scotch cross buns are now A Thing! Why don’t bars serve good coffee? We think you're in United Kingdom - Mainland (change) so we're displaying prices which include VAT.